Running, rowing and kettlebell swings. While everyone may have one or two movements they struggle with, chances are that most people will dread seeing at least one of these three come up on the whiteboard—and that extends to Games athletes, as you’ll read below. Unfortunately, that also means they’ll avoid working on them—which is a problem. So why is that the case, and why should we be devoting more of our time to these three exercises? The kettlebell is just an uncomfortable object to hold and move. And the technique can be tricky to master and perform—swinging that hunk of iron from between your legs to over your head can gas you out quickly; and when you drop it to catch your breath, it’s almost as hard (if not harder) to pick it up and start moving again. Not to mention trying to tell if you’ve actually completed a rep or not: at the top of the swing your hips must be fully extended, knees and elbows must be locked out and the bottom of the kettlebell should be facing flat towards the ceiling above your head—apparently. Kettlebell swings are truly a complete compound movement, utilizing multiple joint and muscle groups while simultaneously strengthening your muscular endurance, power, coordination, aerobic and anaerobic capacity—depending on the type of workout the swings are incorporated in. Think about it: you’re performing a mini-deadlift to get the weight off the ground, then hinging at the hips before squeezing your calves, hamstrings, glutes, abdomen and more muscles of the posterior chain than you’d care to imagine to produce enough power to get the kettlebell moving before you arms and shoulders take over, carrying the kettlebell overhead with control as you pop your head through the window created by your arms. Your shoulders take the majority of the load to stop the momentum of the swing generated by your explosive hip drive before you reverse the movement. Within that intimidating description of a kettlebell swing, one can see all the athletic benefits described. Your grip, hip, and posterior chain strength will explode, which is important for all of the Olympic lifts—as well as other movements like sit-ups, muscle-ups and all the squatting variations you can fathom. Do enough swings, and your endurance will skyrocket. After all, you’re moving a weight that’s uncomfortable and awkward overhead for multiple reps. We all know how much that can tax your energy and endurance, but the only way to get better at them is to simply practice them again and again. 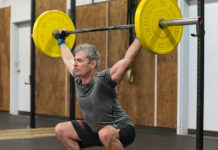 Mat Fraser, 3x CrossFit Games Champion, hated kettlebell swings when he first started CrossFit. So what did he do to get better? He doubled them whenever they were programmed in a workout—yes, double. Eventually, Fraser came to be quite good at kettlebell swings, so much so that he now enjoys doing them. Yes, you can certainly refine your technique so that it’s as efficient as it can be, but ultimately becoming a fan of the kettlebell swing comes down to willingness, perseverance and effort, which leads me to my last point. Kettlebell swings develop grit. When you’re on your last few reps of kettlebell swings and your grip is weak, your lungs spent and your muscles shaking, it can be easy to drop it and catch your breath. But the knowledge that picking up the kettlebell and getting it going again is going to be a task within itself, and the fact that you want to move on from the movement can propel you to new heights of mental fortitude. Go through that experience enough, and you start to develop a steely resolve that can come in handy when your back is against the wall in the midst of a WOD. 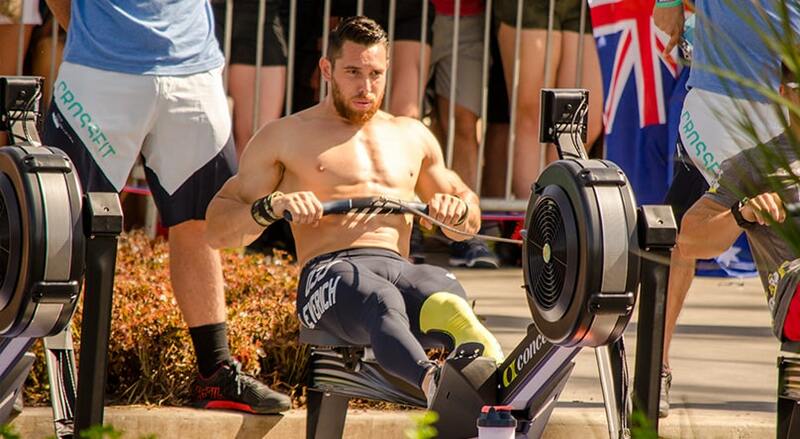 Unsurprisingly, a lot of people hope that the fitness they have built up from doing other movements in other workouts will help carry them when they have to go for a run or strap themselves into the erg. While that may help, many athletes are unaware that if they were to focus on improving their running/rowing ability, the benefits would greatly impove their athletic prowess in many other workouts and movements. In fact, a growing number of Games athletes are now hiring specific rowing and running coaches to help develop specific run/row programming for them. CrossFit coach and pro triathlete Chris Hinshaw acts as the endurance coach to more than two-dozen Games athletes including Jason Khalipa, Camille Leblanc-Bazinet, Matt Chan, Lindsey Valenzuela, Alessandra Pichelli, Dan Bailey and Lauren and Garret Fisher. Because so many CrossFit workouts require a good deal of running, it can’t hurt to get a little extra practice in on the side, right? In addition to relieving stress, improving cognitive function, lowering blood pressure and reducing your risk of getting cancer, running can burn a ton of calories, increase your bone mass and improve your cardiovascular endurance. You can vary your workouts based on the distance you choose to run, whether you want to run intervals or even add some muscular endurance training to a run by wearing a weight vest. You may even want to do some sprint training, highly valued by Olympians and professional athletes of varying sports for its ability to build muscle and power (by strengthening the size and strength of your fast-twitch fibers) and increase work capacity, to name just two benefits. Rowing carries many of the same benefits, though it places far less impact on your joints and helps to improve your flexibility, muscular endurance, power (specifically in the legs and hips during the drive phase of a stroke) and aerobic pathways. Just like kettlebell swings, both running and rowing can also help to develop mental resiliency. Essentially, these two exercises should form the bedrock of your cardiovascular capabilities that you fall back upon during any other movement or workout—be it Fran or Grace, or anything that comes up during a workout. You need a good engine and you need the muscular endurance to carry you through the finish line, so don’t knock out two of the most powerful and proven ways of developing those vital aspects of your fitness. As much as strength work is fun and can easily become the focus of every workout, these exercises should be regularly done every week.